Does the sound of a boxer hitting a punching bag make you think art, or sport? Participants in a new Twin Cities collaboration argue it's both. To them, ballerinas and boxers have a lot in common. 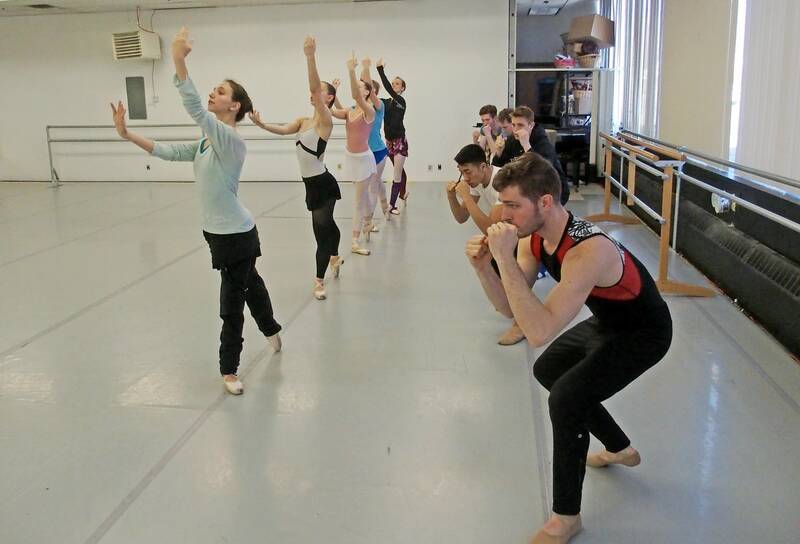 In a St. Paul Ballet studio, artistic director Zoe Henrot recently rehearsed her company in a piece called "To Billy." It's about a boxer who realizes he wants to become a ballet dancer. Billy is danced by Brennan Benson. His hands were wrapped like a boxer's, but he flew about the stage in ballet shoes. Benson said there's a subtle nod to the "Billy Elliot" story in this piece. "But it's really more personalized," he said during a break. "It's more about our relationship with the boxing studio next door, and how there's a certain art to boxing that people don't always understand, and how there's a certain sport to ballet." 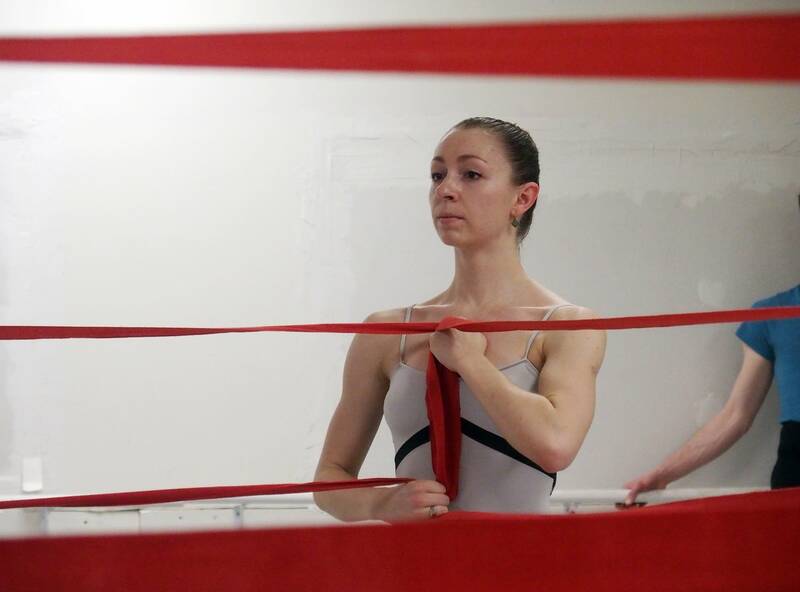 This is what happened: Three years ago, the St. Paul Ballet moved to a new studio next door to the Element Boxing Gym. The water fountain was in the gym, so dancers went there to fill their water bottles. "And it just became like, 'Hmm, what are they doing over there?'" Henrot recalled. "We are both movers, and so movement is what makes us curious." Also, Henrot realized the boxers' strength and endurance conditioning could benefit her dancers. "We don't get a lot of upper body, especially the women," she said. "And the men need a lot of upper body, because they are lifting us." So she asked Element's owner and trainer, Dalton Outlaw, if the dancers could take some lessons. He said, sure — if the boxers could take some ballet classes. Outlaw knew his fighters could learn a thing or two: "For us, flexibility and balance, and coordinated movement," he said. Element is a place where boxers spar in the ring, punch heavy bags and swing sledgehammers at old tractor tires. But for the last couple of years, it's also been where boxers build dancers' stamina, then slip next door to the dance studio to practice footwork. Outlaw said there's been a little reluctance on his side of the building. "Some of the guys, they are still on the mindset, 'This is what I'm used to doing,'" Outlaw said. "I make sure they get over there and they enjoy their class, and then they get the best out of it." 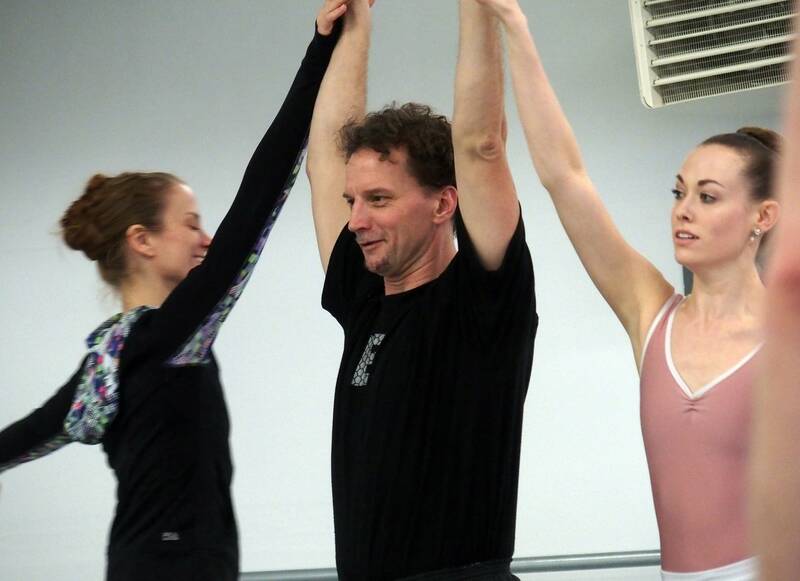 Back in the dance studio, Zoe Henrot said cross-training came easily. "Actually, entering either ballet class for the first time or boxing class for the first time, having already been a mover, we weren't beginners at that movement," she said. "Which was really interesting." And when Henrot began developing a new dance, it became "To Billy," about a ballet-dancing boxer. As part of the collaboration, four of the boxers are performing with the dancers. One is Dalton Outlaw. Another is Mark Connor, a boxer for three decades and more recently a trainer. Now he's becoming a dancer. 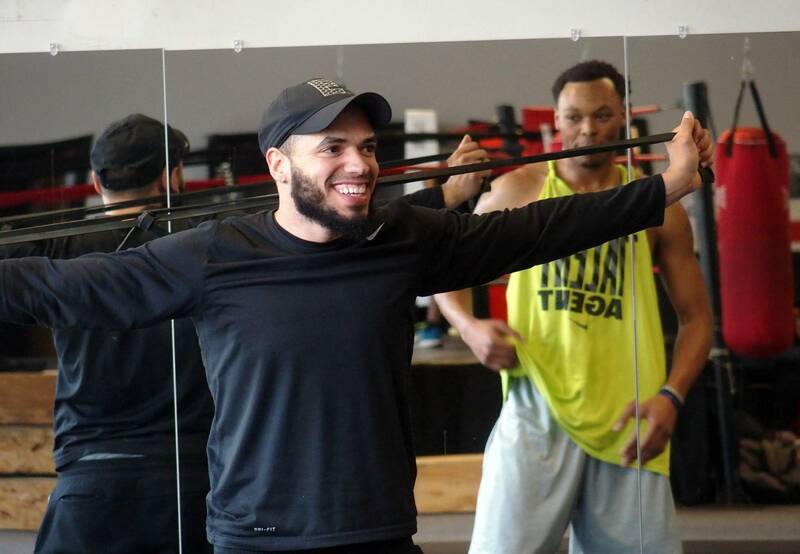 "They are at the level of professional athletes in their personal physical conditioning, and that's something to be impressed with," he said of the dancers. Connor and Outlaw will perform in the world premiere of "To Billy" as part of the St. Paul Ballet program at the Cowles Center in downtown Minneapolis on Friday and Saturday evening. That's just the beginning, however. They have a Knight challenge grant for a show in June, when Henrot and Outlaw will serve as joint directors. Henrot said it will begin with a dance performance, involving many boxers, and then end with some actual matches. Outlaw described it this way: "So you'll have the nice ballet sounds, and then you'll have the nice bloody noses." He grinned. Jokes aside, Outlaw and Henrot believe this is just the beginning of what they hope will become a multidisciplinary movement center, where many artists and athletes of all kinds will explore, collaborate and create.